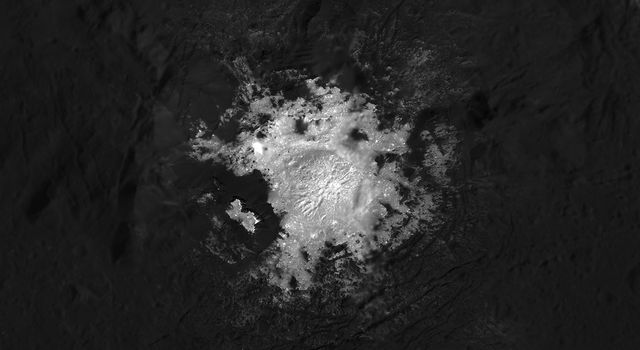 Vesta beckons, and Dawn responds. Now more than halfway through its approach to Vesta, Dawn continues creeping up on the destination it has been pursuing since it began its interplanetary travels. The separation between them gradually shrinks as the probe’s ion thrusting brings its orbit around the sun into a closer and closer match with Vesta’s. At the same time, the giant protoplanet’s gravity tugs gently on the approaching ship, luring it into orbit. Starting at the beginning of the approach phase on May 3, Dawn interrupted thrusting once a week to photograph Vesta against the background stars. These images help navigators determine exactly where the probe is relative to its target. This technique does not replace other means of navigation but rather supplements them. One of the principal methods of establishing the spacecraft’s trajectory relies on accurately timing how long it takes radio signals, traveling, as all readers know, at the universal limit of the speed of light, to make the round trip between Earth and Dawn. Another uses the Doppler shift of the radio waves, or the slight change in pitch caused by the craft’s motion. These sensitive measurements remain essential to navigating the faraway ship as it sails the interplanetary seas. Despite the very slow approach, the distance is small enough now that observing Vesta weekly is no longer sufficient. To achieve the navigational accuracy required to reach the intended orbit in early August, last week the frequency of imaging was increased to twice per week. In each session, half of the pictures are taken with long exposures to ensure many stars are detectable, thus overexposing the much brighter disc of the nearby Vesta. The other half use short exposures to ensure that the rocky world shows up correctly so its precise location can be measured. The visible and infrared mapping spectrometer has been commanded to observe Vesta during three of these sessions, each time providing valuable information that will help scientists select instrument settings for when Dawn is close enough to begin its detailed scientific measurements. In addition to the regular campaign of imaging for navigation, mission controllers have other plans in store for the approach phase that were laid out more than a year ago. Twice in the next few weeks, the spacecraft will watch Vesta throughout its complete 5.3-hour rotation on its axis, revealing exciting new perspectives on this uncharted body. The explorer also will search for moons of the alien world. There are several ways you can have the same spectacular views as Dawn while it closes in on this immense protoplanet. You could build your own ion-propelled interplanetary spaceship and travel to Vesta. Just imagine how exciting that would be! But if you did that, the time to write all the logs describing your adventure probably would make the undertaking impractical. Another option would be to build your own telescope. To see Vesta as clearly as Dawn sees it today, you would need a telescope only three times the size of the Hubble Space Telescope. Regrettably, then you would have to wait until Earth’s and Vesta’s orbits around the sun brought them into closer alignment. In the meantime, Dawn’s camera would draw much closer to its subject. By the beginning of August, it will see Vesta with more than 100 times the clarity that Hubble could ever obtain. Still another alternative would be to go here to see some of the best views that humankind’s robotic ambassador to the asteroid belt has returned. New pictures will be added regularly. A relict that bears witness to the dawn of the solar system, a colossus that outweighs all other residents of the main asteroid belt save Ceres (Dawn’s second destination), a fuzzy point of light among the stars that has intrigued and enticed astronomers for more than two centuries, a mysterious orb that has stirred the passions of creatures on a distant planet, inspiring them to dispatch an emissary to scrutinize it, is finally being revealed as a unique and fascinating world. Dawn’s images delight and tantalize us, and the wait for still better views now is brief indeed. After more than 950 days of ion thrusting, with an effective change in velocity of more than 6.6 kilometers per second (15,600 mph), Dawn’s orbit is so much like Vesta’s that their paths around the sun are quite similar. Less than a month ago, they were coming together at 240 meters per second (540 mph). Today, the relative speed has declined to only 110 meters per second (250 mph). By July 16, Dawn will be traveling no faster toward Vesta than you can drive in a car. The probe will be close enough and slow enough that the protoplanet’s gravity will tenderly take the approaching explorer in its grasp. The next log will be posted shortly after Dawn is in a high, loose orbit around Vesta, still spiraling down toward survey orbit, where it will begin making detailed studies of its home for the subsequent year. Dawn is 152 thousand kilometers (95 thousand miles) from Vesta, or 40 percent of the average distance between Earth and the moon. It is also 1.39 AU (208 million kilometers or 129 million miles) from Earth, or 515 times as far as the moon and 1.37 times as far as the sun today. Radio signals, traveling at the universal limit of the speed of light, take 23 minutes to make the round trip. NASA declares Dawn's historic mission over after spacecraft depletes its hydrazine fuel and stops communicating with the Deep Space Network. 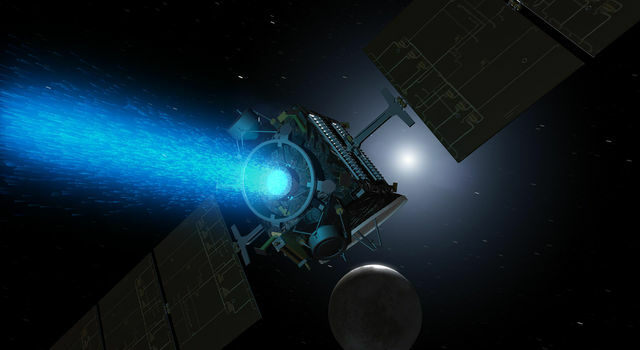 JPL will host a live Science Chat Friday, Sept. 7, on what NASA's Dawn spacecraft, nearing the end of its 11-year mission, has taught us about the early Solar System. 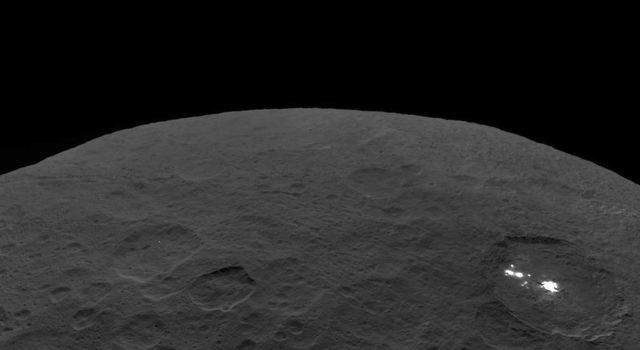 As NASA's Dawn spacecraft prepares to wrap up its groundbreaking 11-year mission, which has included two successful extended missions at Ceres, it will continue to explore -- collecting images and other data.